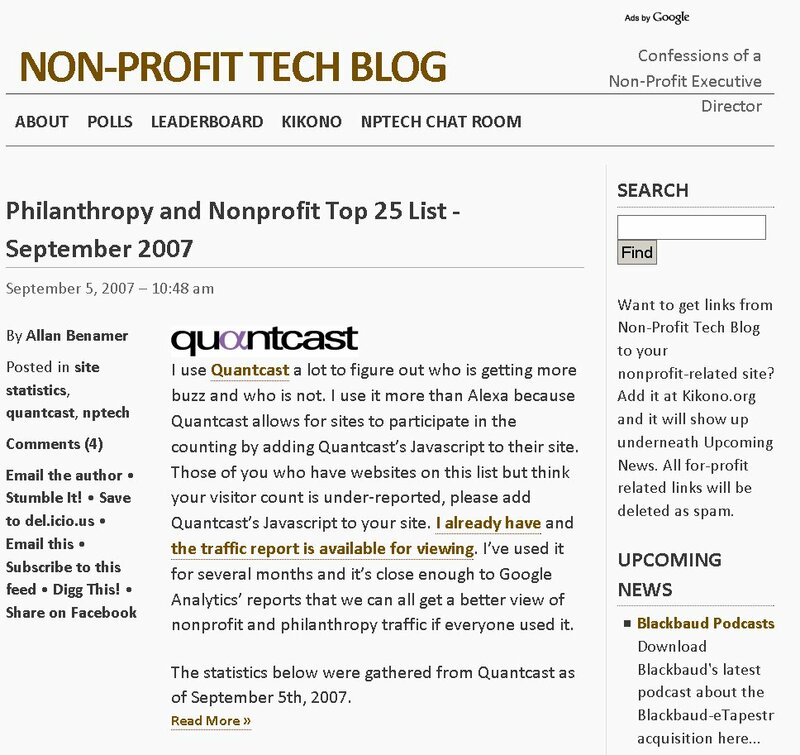 This is a personal blog of a non-profit executive director, focusing on tech issues in the non-profit world. This guy’s a thinker – be ready to look at your ideas! This entry was posted in Cool Sites. Bookmark the permalink. Thanks for the kind words… And don’t forget to check out my startup’s pre-launch pages at http://www.socialmarkets.org. Excellent, Allan–and tremendous to have an innovator like you drop by the show! I was at your seminar yesterday in Long Beach! Great stuff! Thank you for you hard work and support for the non-profit organizations! I look forward to implementing the things we learned and working with Mission Increase! P.S. Here is our website. http://www.turningpointcounseling.org!